Global producer Styron has announced two new additions to its Sprintan rubber range which have been tailored to meet the evolving needs of the global tyre industry. 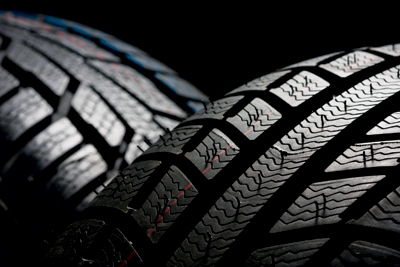 The Sprintan rubber portfolio offers an array of high performance solutions to fit specific tyre industry needs. The range includes rubber grades with enhanced wet grip and wear performance, as well as grades that provide a good balance between traction and rolling resistance. New to the Sprintan family are the Sprintan SLR 3402 and SLR 4502, two next-generation solutions adjusted for improved low-temperature performance. SLR 3402 and SLR 4502 offer the combined benefits found in existing Springtan grades, namely excellent low rolling resistance, as well as other significant advantages, such as reduced stiffness at low temperatures boosting snow grip potential in winter tread application. Both solutions can be blended with other polymers, offering customers greater flexibility. For the Ultra High Performance (UHP) pass car tread, Sprintan SLR 4502 and 3402 can be applied to partially replace high-Tg SSBR and BR. Both new grades bring additional reduction in rolling resistance due to their functionalisation technology that is highly effective with silica as well as with carbon black fillers. Ultimately, their dynamic characteristics help Styron customers create differentiated top quality tyres to continue their success within the industry. A cornerstone of Styron’s success is creating high performance solutions. Both Sprintan SLR 3402 and SLR 4502 are a testament to this, quickly gaining acceptance amongst customers who acknowledge that these new products enhance the performance of winter tyres, as well as UHP tyres. Styron is a leading global materials company and manufacturer of plastics, latex and rubber, dedicated to collaborating with customers to deliver innovative and sustainable solutions. Styron’s technology is used by customers in industries such as home appliances, automotive, building and construction, carpet, consumer electronics, consumer goods, electrical and lighting, medical, packaging, paper and paperboard, rubber goods and tyres. Styron had approximately $5.5 billion in revenue in 2012 with 20 manufacturing sites around the world and 2,100 employees.